To tag off a post from Liz last September that featured inspiring writing prompts, here are some writing exercises that may help you overcome writer's block or get you out of your head when you are overthinking. Rewrite the first pages of your novel in a different point of view. If you've written it in third person, try first. Maybe try writing a scene from a perspective other than your main character's. No need to use it in the story; just use it to get your thoughts moving in a different way. So go crazy! 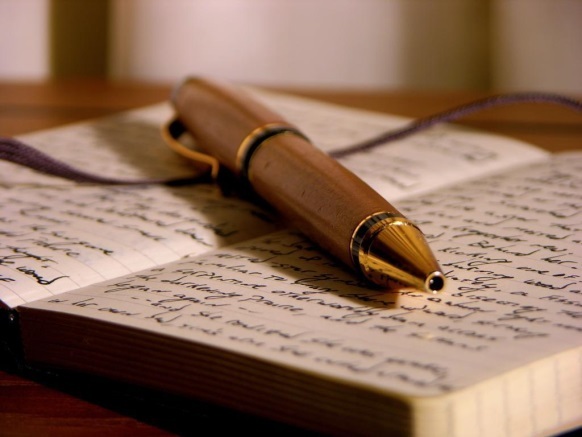 Write a journal entry from the perspective of one of your characters. It will not only allow you to strengthen that character and his or her voice, interaction with the world, and relationships in the story; it will help you generate new thoughts and ideas. Think about the details that character would care about and how he or she would express them. Try this with as many characters as you want, perhaps all in reaction to the same event they experienced. What if your book started in chapter two? What if the story took place in the previous century? What if the lovers didn't end up together? Ask yourself specific questions that turn your book on its head or delve into the details in a new way. List them one after the other, as quickly as you can think of them. It's just a list, not an actual change to your book, so you can feel free to shoot them down later. But just by writing them, you are considering new possibilities and thinking outside your book's box with no pressure to commit to any change. See where it takes you and what solutions it opens your mind to that may strengthen your work. What are some of your favorite writing exercises or prompts? Great list, Laura. Thanks for sharing! I love these ideas! Especially the character journal. I've done that before and found it very helpful. Another thing I try is acting out a tough scene, speaking all the dialogue. My characters start to sound more natural, and new dialogue usually appears that moves the story forward. Nice idea, Sheri! Thank you!